Top 5 countries to visit in 2017. I love to travel. I feel that as someone who is writing a travel and tourism blog it should be pretty obvious, but it’s true. I love travelling. One of the major problems with loving to travel is that no matter how many countries you have visited there is always more to visit. My top 5 travel destinations for 2017. 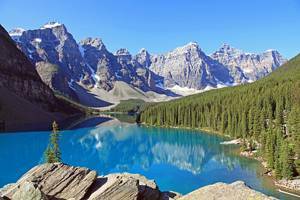 If you haven’t visited Canada then 2017 is the perfect year to go. It's been 150 years since confederation and promises to be a massive party. Plus the world’s second largest country is currently suffering from a weak dollar so make the most of your pocket money. Columbia has been a massive change over the last 30 years. After decades of war and crime, Columbia is on the up and up. With rich history and vibrant culture expect Columbia to welcome you with open arms. Plus Pope Francis is due to visit the country for the first time in 30 years. In 2018 Dominica is due to get its first in a line of large scale chain resorts. Get in there before everyone else does. With clear, clean shores and palm trees galore could there be any better destination? In 2017, Mongolia will reveal its brand new airport in Ulaanbaatar the capital city. Combine this with the state of the art Shangri- La complex scheduled to open this year; 290 rooms, IMAX cinema and even a Hard Rock Cafe. After the devastation of the 2015 earthquakes, Nepal needs tourists more than ever. Some of the temples managed to remain unscathed but other required repairs to sculptures and infrastructure. Tourism will generate much needed income to help this nation rebuild itself.